Android 2.2 (Froyo) support – Previous versions didn’t work under Froyo due to the new streaming framework (libstagefright) not supporting HTTP redirection, so resolving the final URL is now handled by Libre Droid itself. Ability to add custom tag stations – You’re no longer restricted to the preset tag stations so if you want to listen to female vocals, finger picked guitar, monkeys or anything else our music might be tagged with then you can create a dedicated station for it. Support for playing a user’s loved station – All the music you’ve ever loved in one easy station. 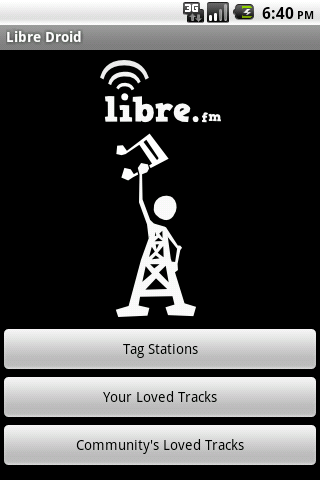 Support for the community loved station – The Libre.fm community’s favourite music, this is a selection of all the music that’s ever been loved by any of our users with the most popular tracks playing most frequently. Plus a few miscellaneous bug fixes. To access it directly on your phone either scan the QR code below or click on it from within your phone’s browser. Alternatively you can simply search for “Libre Droid” in the Android Market. Very cool. I’d tried the version in the replicant projects test apktor repo. And thanks for posting the apk file. It drives me crazy when I can’t find some free software android package because it’s only available in the non-free market. Any chance you could make it show duration (how much is left, etc)? Great app apart from that! 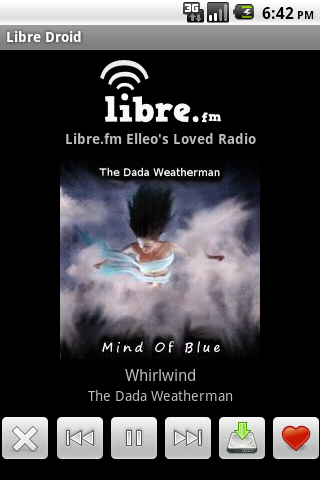 I just got on board with libre.fm and libre droid (for droidx), by chance, since last.fm is now requiring a subscription for radio now. As a musician, I would rather support and listen to other unsigned musicians like myself anyway. I am very excited! Thanks for the app…will you be creating a widget down the road. Thank you. Hi, I have a bluetooth headset, an MW600, with back, forward and play/pause buttons. Are there any chance you’ll add support for them? That way I’d be able to change tracks without taking the phone out of my pocket (or charger). I’d love that. Also, I could translate the app to Swedish, all I need to know is what lines to translate and where to send them when I’m done. I’ve just finished getting to the code into a state to be translatable, so if you’re still interested in making a Swedish translation you just need to grab this file: strings.xml, replace all the English phrases with Swedish and then e-mail your final file to me (mike@mikeasoft.com). Also there should already be support for bluetooth media keys, I haven’t tested this in a recent version of Android though (I only have an old G1 running Android 1.6 to test with). I have just download it but it download doesnt work. also it show that a song is playing but i cant hear anything. Hi, same problems as post 6. It show that a song is playing but i cant hear anything.